Grenache is an unlikely hero of a grape. Until recently reviled or at best ignored in much of the world, it is the grape mostly responsible for two of the world's more celebrated reds, Châteauneuf-du-Pape and, a more recent star, Priorat. At the end of the last century it was planted on more land than any other grape in the world, it was Spain's most common red wine grape. As Grenache the vine is planted all over southern France. In Roussillon it is common in at least three different colours: purple-skinned Grenache Noir, pale crimson-skinned Grenache Gris and green-skinned Grenache Blanc. On the steep terraces overlooking the Mediterranean above the ports of Banyuls and Collioure it can reach extraordinary ripeness levels (a general characteristic of Grenache everywhere) and is the chief ingredient in the sweet, strong vins doux naturels made there. Banyuls is the most famous but further north in Roussillon it produces similar wines such as Maury and Rivesaltes as well as doing its bit to make Roussillon's dry red table wines so strong and ripe-tasting. If there is one single characteristic of Grenache-based wines it is a sweet ripeness, coupled with quite tough tannins if yields are low. But also some winemakers produce 100% grenache wines with an exceptional finesse and elegance. Grenache Blanc tend to relatively low acidity, high alcohol and fast development, but make a delightful change from the thinner offerings of its traditional blending partner Maccabeu. 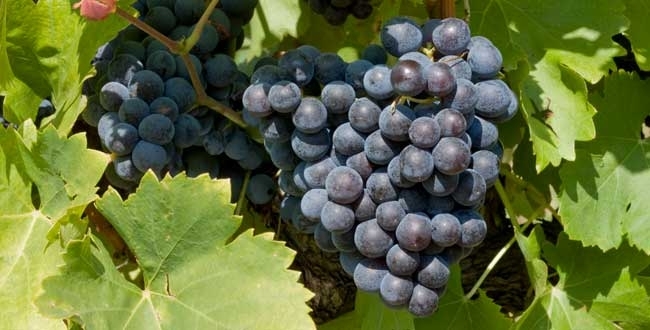 Grenache Noir is one of the most important red wine grapes of the Languedoc where it has long been blended with Carignan, Syrah, Mourvèdre and, sometimes, a bit of Cinsault. 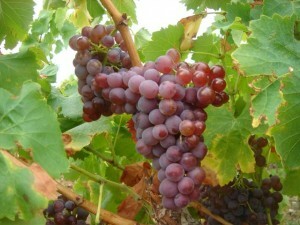 Grenache/Syrah/Mourvèdre, or GSM, is the most common blend. 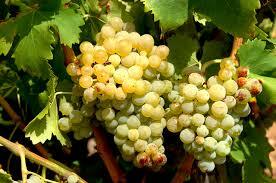 Wine with great balance between rich, intense white fruits aromas and a soothing and stimulating freshness. Very smooth. From old vines in the highest altitude vineyards in Roussillon.